During the latter days of film photography, almost every photographer used 35mm film, and almost every serious photographer used a 35mm film SLR. In the early days of digital photography the SLR was almost forgotten, only to make a huge comeback since 2003. There are signs that this is again to change. Why? This blog post will try to sum it up. SLR is an acronym for “single lens reflex”, and means that the photographer physically looks through the lens by means of a rather complex mirror and prism setup. In the film days this was the only way to accurately show a photographer how his picture was going to look, since his eye was physically seeing the same image that was going to be projected onto the film when the shutter was pressed. 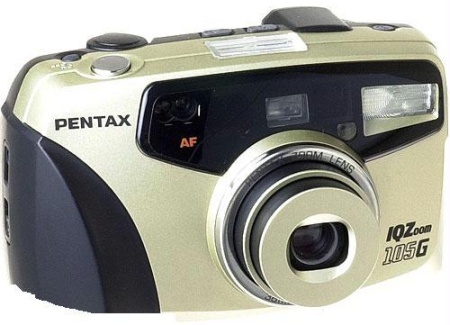 Compact “point and shoot” cameras had separate optical viewfinders through which the user framed the picture, but suffered from parallax error (especially when looking at close subjects), and could not properly show focus, depth of field or exposure. All of this changed with the advent of digital photography. Even small compact digital cameras could show the exact image that was going to be recorded. (In fact, this was even more accurate than the image seen through many SLRs, since you actually saw what the sensor saw, including white balance and exposure.) Since the whole flipping mirror and prism was no longer required, digital compacts could also be made a lot smaller and cheaper than SLRs. 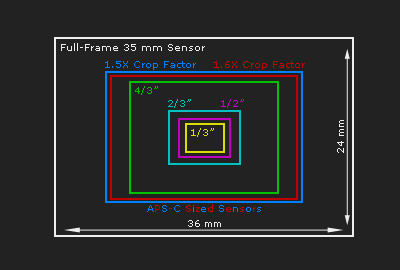 Most importantly, 35mm digital sensors were very expensive to make, and therefore not able to compete with small-sensor compacts. 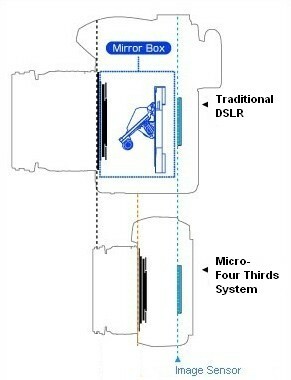 Furthermore, by having a very small sensor (often smaller than the 1/2″ shown in the diagram above) allows a manufacturer to reduce the cameras power usage, and allows for very small lenses. The most extreme example of this is a cell phone camera which has a very tiny lens and sensor. Then, in May 2000 things started to swing back in favour of the SLR. Canon announced the D30, its first dedicated digital SLR (DSLR) designed “from the ground up”, and selling for $3000. 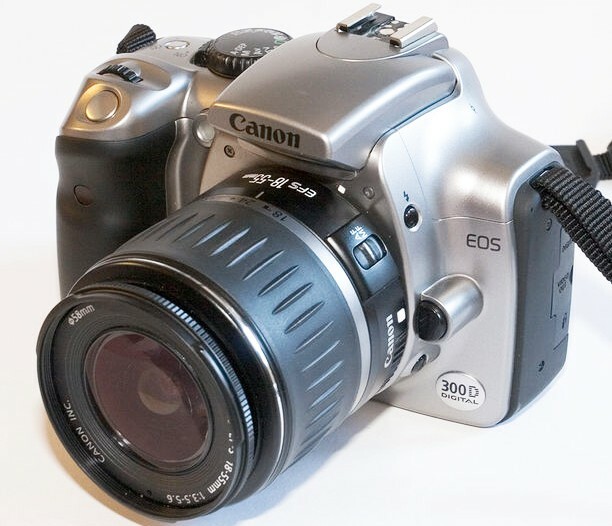 In August 2003 Canon extended this technical lead with the announcement of the Canon 300D, the first DSLR selling for less than $1000. Faster autofocus by measuring phase shift with a dedicated sensor, instead of image contrast detection. But many of these advantages had nothing to do with having a mirror box – it was just an engineering hack. Large sensors used a lot of electricity and heated up quickly, therefore they couldn’t stay powered on the whole time, therefore you couldn’t have “live view”m therefore you needed an optical viewfinder. There was no fundamental reason why one couldn’t make an interchangeable lens camera with a large sensor, offering (all) the DSLR advantages, but throwing out the old-fashioned mirror-box. Only temporary engineering hurdles stood in the way. That, and the fact that the established manufacturers like Canon, Nikon and Pentax had a legacy system with legacy lenses to support, and therefore opted for backwards compatibility. These legacy systems had the additional disadvantage of being mutually incompatible. The logical step was to develop a interchangeable lens, large sensor, camera system which did not use a mirror box, but a smaller, simpler and cheaper direct-to-sensor design. And this is exactly what Olympus and Panasonic did with their micro-four-thirds system. The Olympus Pen and the Panasonic G1 and GF1 are the first cameras of this new generation, and are receiving good reviews. Even Samsung now joined the party with their “NX” system, which is basically the same thing as micro 4/3, albeit with a slightly larger sensor. These cameras don’t (yet) match the performance of 35mm full frame models like the Canon 5D mkII, Nikon D3 or Sony A900, but nothing prevents the development of mirrorless 35mm cameras. These new cameras offer the same functionality as DSLRs, minus for the optical viewfinder. However, Panasonic has a very clever LCOS digital display which reportedly does a good job as substitute, thus the lack of an optical finder isn’t as big as a disadvantage as it used to be. Do these developments mean that it’s the beginning of the end for the venerable SLR? Not immediately in any case. But I expect that physics and logic will prevail, and that the enormous DSLR fad of the last 6 years will slowly subside. Putting sentimentality aside, the world no longer needs a mirror box. The guys behind micro 4/3 think progressively. I like it. Personally I’m a huge fan of an optical viewfinder. Sensor->display causes lag for action photography, drains more battery, and typically has trouble with bad lighting, where a dark-adjusted eye and optical is hard to compete with. Granted all these things can be improved with better tech, but, well, I’m a huge fan of an optical viewfinder. I haven’t used a Panasonic G1, but from what I read the LCOS viewfinder is bigger and brighter than most DSLR optical viewfinders out there, and has little lag. The 60fps display rate should also be smooth. EVFs offer the possibility of boosting brightness to levels exceeding dark-adjusted eyes looking through a lossy optical path. Personally I use a Nikon D80 which has a very good optical viewfinder. I’m not getting an EVF soon. But it seems that EVFs can actually be very very good. The “brighter than optical viewfinder” makes a lot of sense if you handle any entry-level DSLR. Due to the limited max aperture of kit lenses, optical path light loss (especially due to the mirrors), and the smaller image circle (compared to 35mm), the viewfinder can be pretty dim. Except if you’re outdoors in bright sunlight. Especially in (micro) 4/3 which uses a sensor with 1/4 the surface area of 35mm film, the view through DSLR viewfinders is disappointing. The G1’s review specifically mentiones that the LCOS viewfinder’s view is significantly larger and brighter than (for example) the Olympus E-620. I have no idea what the sensor-to-display delay is, but I suspect that it is negligible. CCD camera sensors can be read out very quickly (< 100 ms ? ), and with CMOS sensors you can do it a lot faster (< 10ms?) by only reading a pixel subset. This an order of magnitude faster than human reaction time. I’m not one to resist technology if it works, but you know what? Sometimes analogue is just plain better. Granted, the SLR mechanism has nothing to do with image quality or available features a camera can have. Sure, it’s totally conceivable to make cameras with all of the features of a DSLR, except that the SLR optical viewfinder has distinct and practical advantages, old fashioned as it may be. As a working photojournalist, I can tell you that no LCD screen or digital viewfinder can come close to matching an optical viewfinder for everyday work. Not for comfort – try handling a 70-200mm f/2.8 lens by holding it out, point-and-shoot-style, at arm’s length. Not for focusing accuracy. Autofocus isn’t perfect – you have to adjust sometimes. With an optical viewfinder, it’s a snap. With an LCD screen, you have to zoom in to accurately check your focus, then zoom back out to compose, which is impractical to do when shooting quickly in the heat of the moment. Not for shooting sports, fast action, or any kind of spontaneous moments. LCDs are drastically inferior in this regard. Those digital viewfinders? Not a good substitute, either, especially in low light, fast action situations. Can’t beat an SLR with a fast lens for that. There’s something to be said for viewing the actual rays of light reflected from a subject or a scene instead of a digitized representation of it. There’s no substitute for that organic connection to your subject. Great photography isn’t all about megapixels and camera features. Perhaps the consumer, entry level DSLR is in its death throes. But having an eye-level viewfinder is critical for many pro applications. Admittedly, there are limitations caused by the mirror mechanism. I’m intrigued by the LOCOS eye-level digital display, but even the smallest amount of color “tearing,” noise, and “jerkiness” are not acceptable in pro applications where anticipating and capturing moments is crucial. This is a fascinating discussion. I’m always interested to see where technology can take us. A lot if this debate hinges on the applications of a camera. But speaking as someone who must make hundreds of images every day, whose lifeblood is anticipating and capturing defining, story-telling moments, I’ll take a good old fashioned DSLR for the foreseeable future. Scott – thanks for your thorough comment. I totally agree – photo professionals will surely prefer optical viewfinders for action and focus-critical tasks. And I wasn’t implying that EVIL cameras will replace DSLRs for all applications. However, I get the feeling that most DSLRs are sold to consumers with “superior image quality” as the main tag line. And there is nothing in a DSLR which inherently offers better IQ than in a mirrorless design. I can also imagine a future where the advantages of mirrrorless designs may outweigh DSLR architecture. Good contrast-detect AF seems to be more accurate and flexible for critical focus tasks than phase detect. Still slower, but that gap can shrink as processor speeds and algorithms improve. And EVF displays will improve also. Eventually you will get a brighter viewfinder view in dim light than through an optical finder, and with more freedom in where you want to place your focus position. And with an LCD live view you can hold your camera in more creative poses than when you have to have it at eye level. But for now, at least, optical is better for pro work. I totally agree. BTW, I subscribed to your blog. I have to tell myself and others that the most important element to making great pictures is your vision and imagination, not your gear. But I’m still a bit of a gear head because the technology fascinates me. You are oh so right about the junk that camera makers peddle to consumers. These days, the sensor is everything, and there’s such a discrepancy between consumer level sensors and pro sensors. Convenience is definitely pushed over quality. And quality is SO costly. Back in the film days, you could buy an inexpensive camera, but still shoot with the same film as the pros. See, sometimes analogue IS better!